Someone, I don’t know who, came up with the name “Farmageddon” for this set. That is so AWESOME! 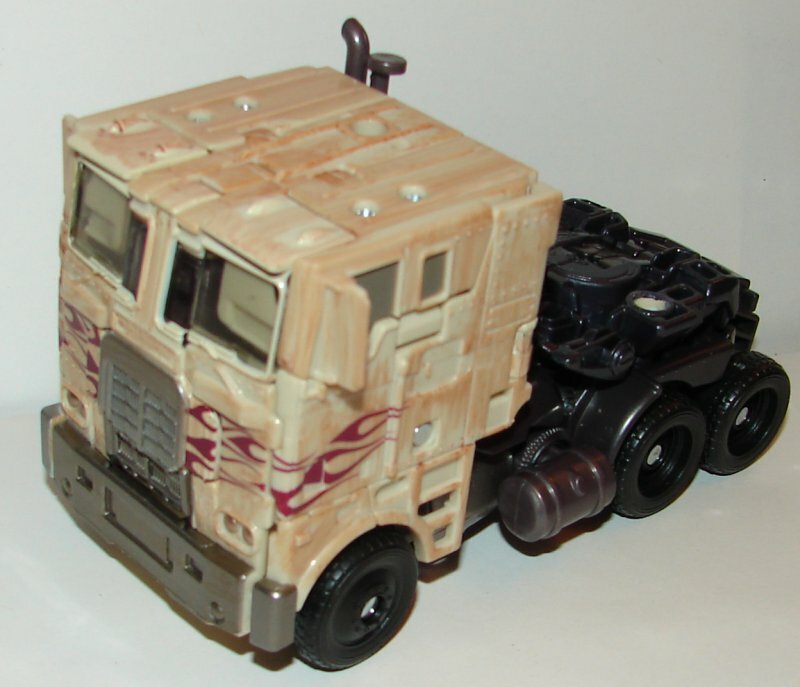 These reviews will focus on the new paint jobs on Rollbar and Optimus Prime. 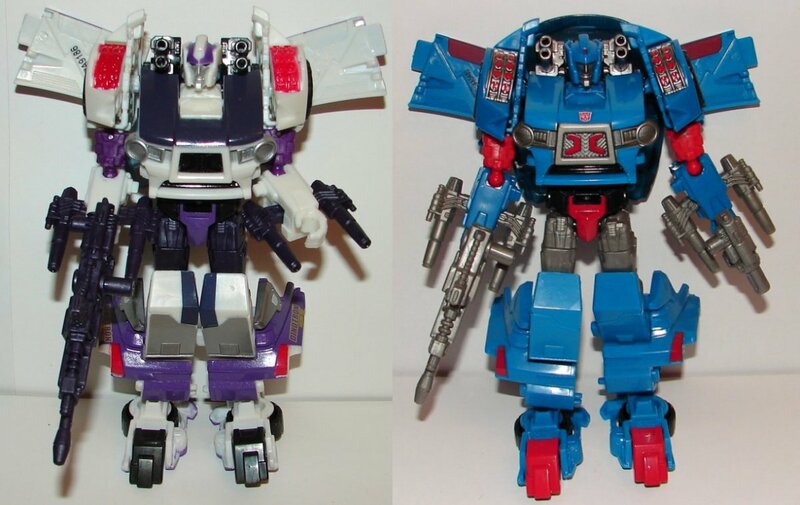 Read my reviews of the original molds here: Rollbar and Optimus Prime. 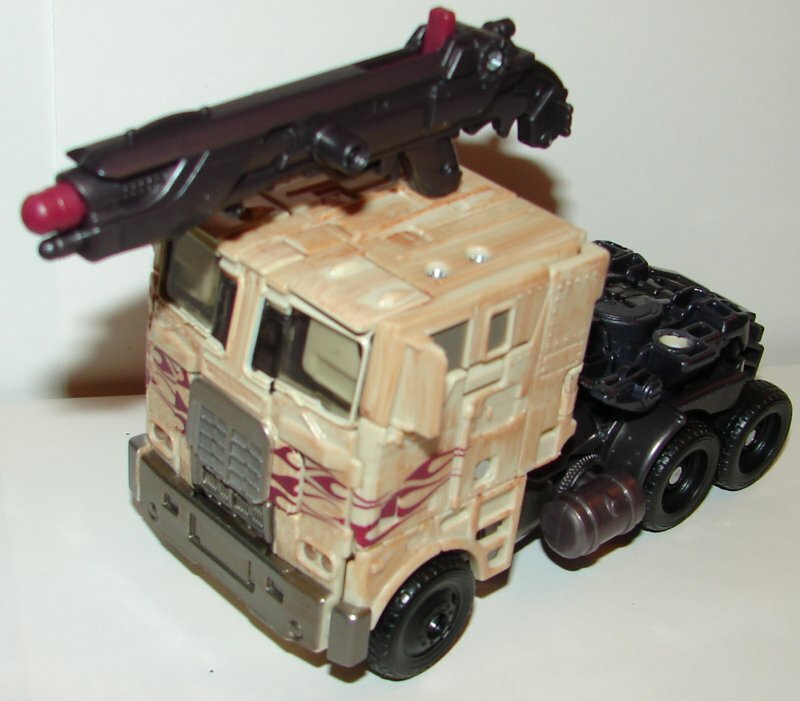 Rollbar, a repaint of generations Skids is painted up like Shane Dyson’s rally car from Age of Extinction. The mold doesn’t quite work for it. 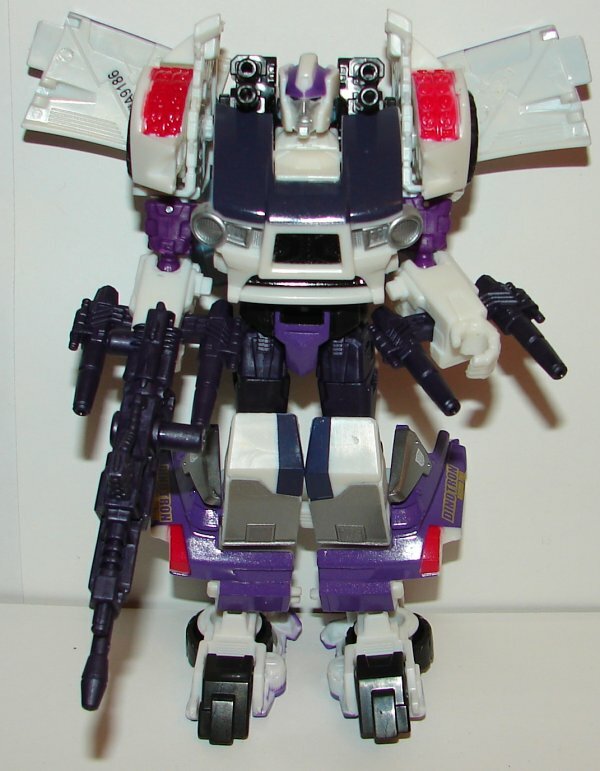 One of the movie deluxe Skids molds with a new head would have been a better choice, at least in vehicle mode. Having said that, they did a really nice job painting it, but I’m not sure how accurate it is to the movie. 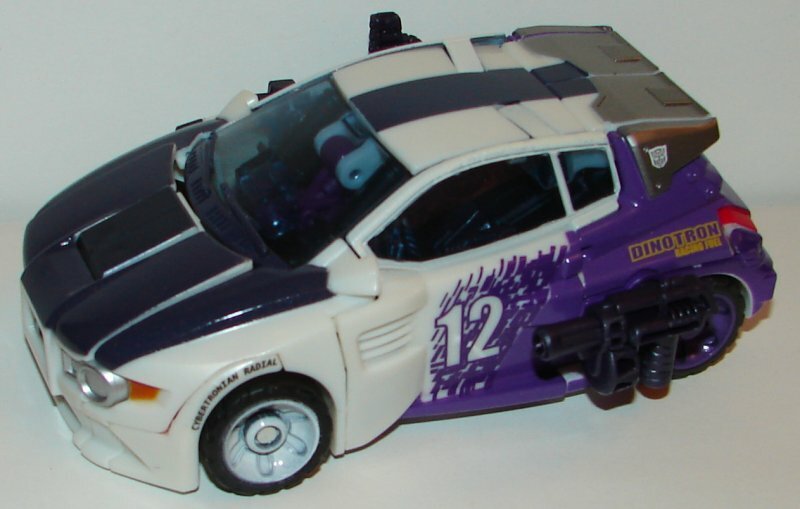 Dark of the Moon Deluxe Vehicon has been repainted to take the place of one of the Cemetery Wind SUV’s. I think he’s one of the better deluxe Dark of the Moon molds. 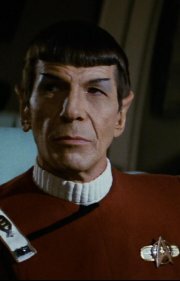 He’s still predominantly black, but the gray has been replaced with blue. Interestingly, they left him with his Mech Tech weapon. 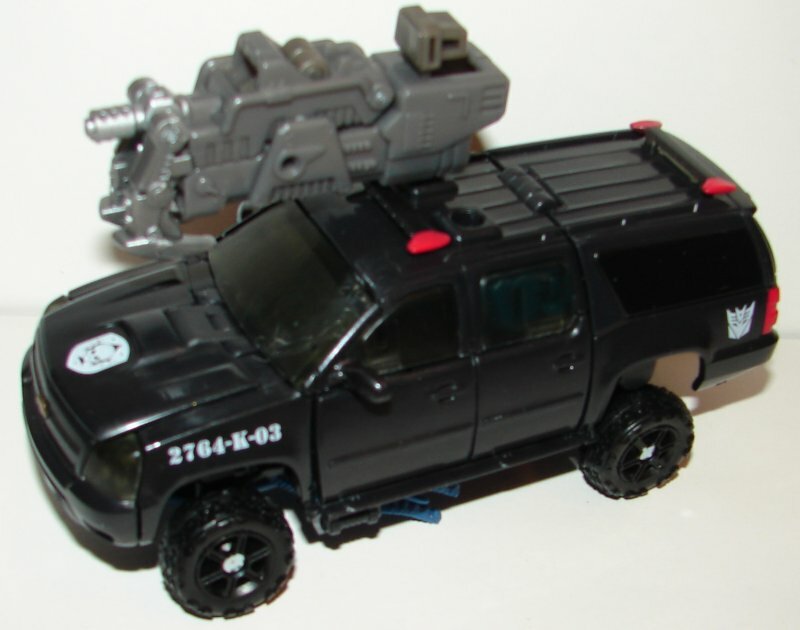 I am a little disappointed that they did not use the 2010 Lockdown mold for the really cool cars that Cemetery Wind was using in the farm attack. 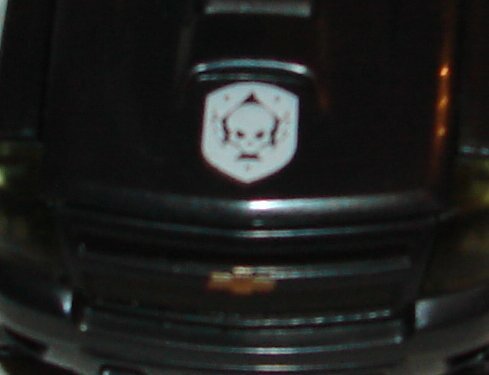 They put the Cemetery wind logo on his hood, which does not photograph very well. It’s the version without the actual words on it, which is unfortunate. 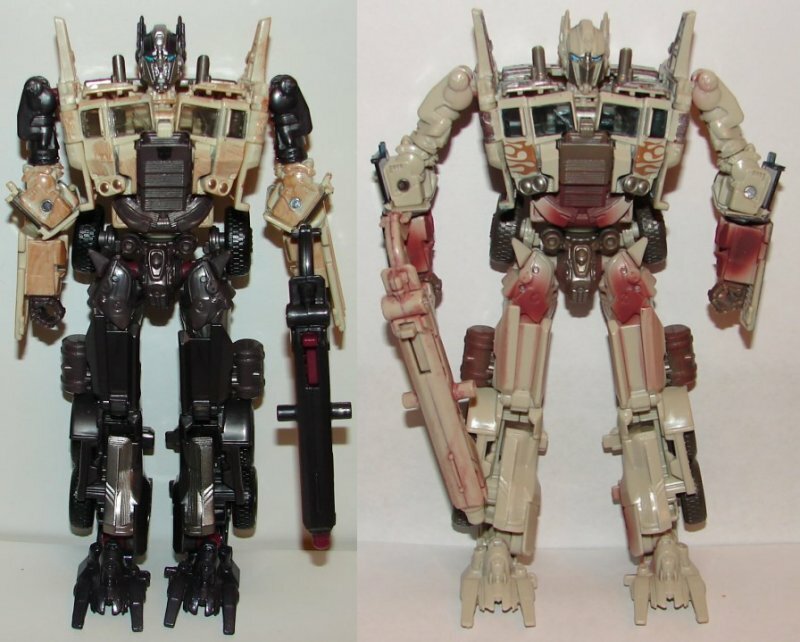 Pictured is the Breakout Battle Optimus Prime (left) with the Movie Advanced Rusty Version Optimus Prime (right). 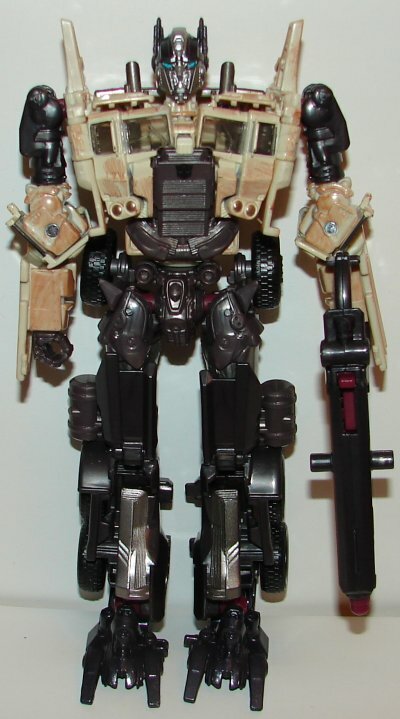 This is a rare instance where I think Hasbro did something better than Takara. 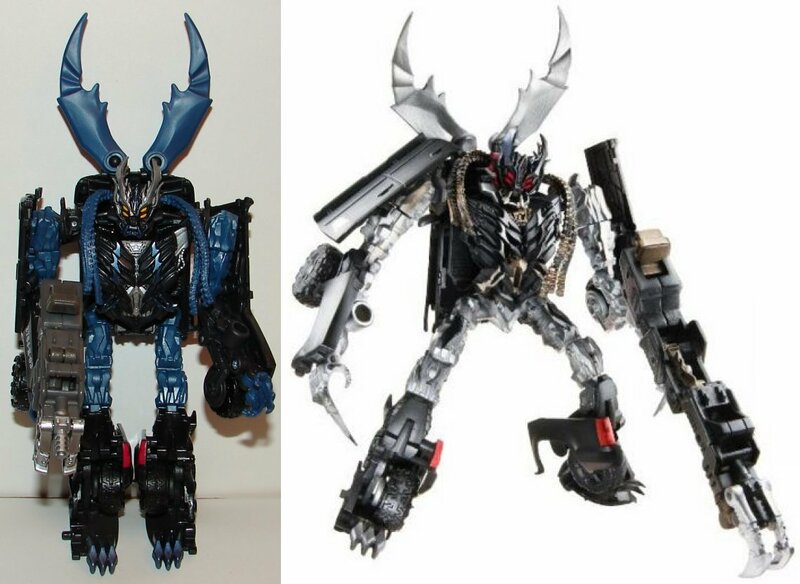 He looks much better with the black legs and blue head. In vehicle mode the Japanese version might be a little more accurate, but I really like the red flames on the USA version. The Japanese version looks too much like Ultra Magnus. Overall: This is a really great looking set. It’s just incredibly overpriced at $100. $60-$70 would have been much more reasonable. 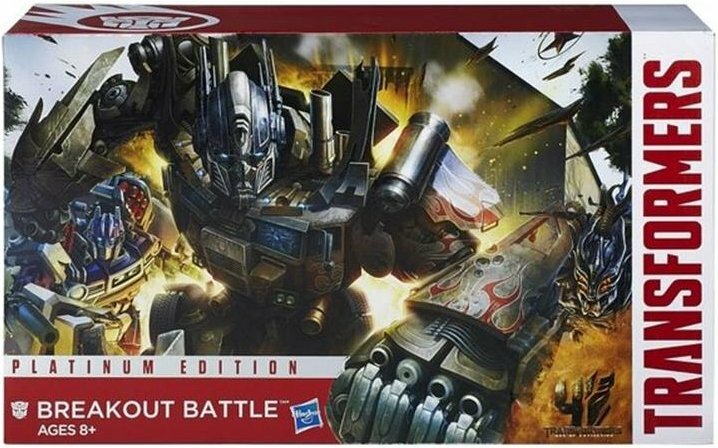 To make matters worse, I *think* Toys R Us is supposed to get this in, but right now Robot Kingdom is the only one who has it, and all of their stuff ships from overseas, so shipping is every expensive. Fortunately there is only one more of these overpriced platinum sets to come out. 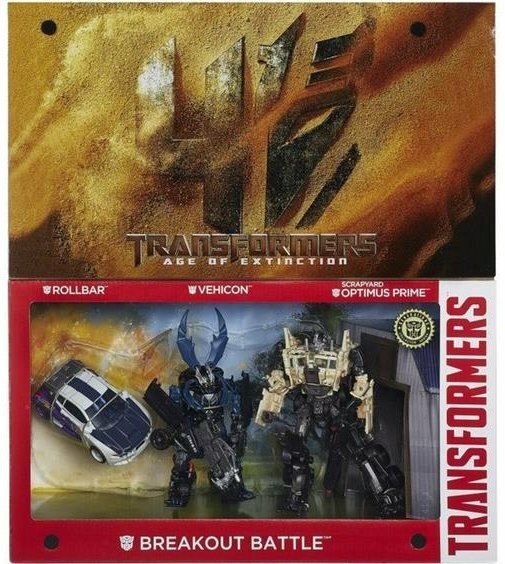 This entry was posted in Toy Reviews, Toys, Transformers and tagged Age of Extinction, AOE, Breakout Battle, Deluxe, Evasion Mode Optimus Prime, Farmageddon, Optimus Prime, Platinum Edition, Platinum Edition Breakout Battle, Platinum Edition Farmageddon, Rollbar, Toys, Transformers, Transformers: Age of Extinction, Vehicon, Voyager. Bookmark the permalink.